This is the best story. Neighbors! I’m a teeny bit jealous. As someone else who is shy and introverted in real life, I feel the same way about my online community. Best part about writing my blog was finding all of you all. xoxo. 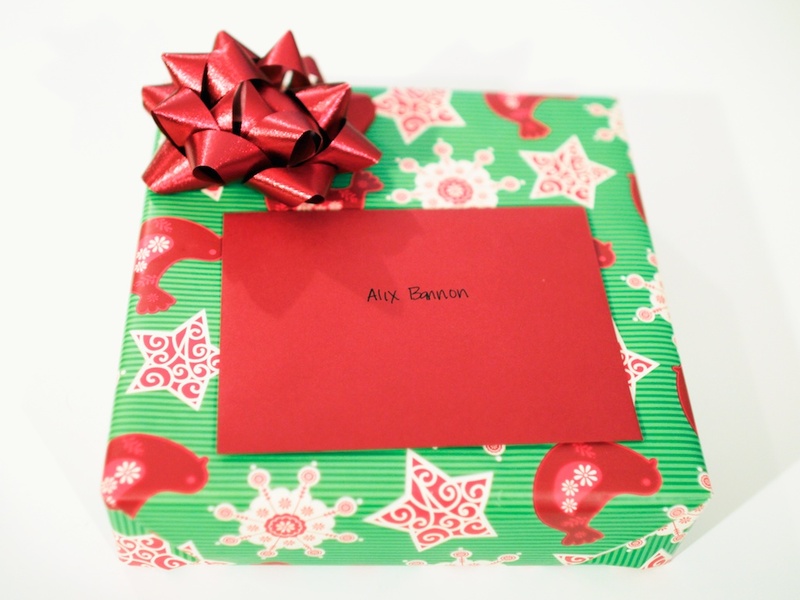 Planning the gift giving was such a highlight of December, and getting to meet you in person was a huge bonus! It’s a tangible reminder that these online friendships and communities are real. This is so heartwarming, especially because I LOVE ME SOME BECCA! 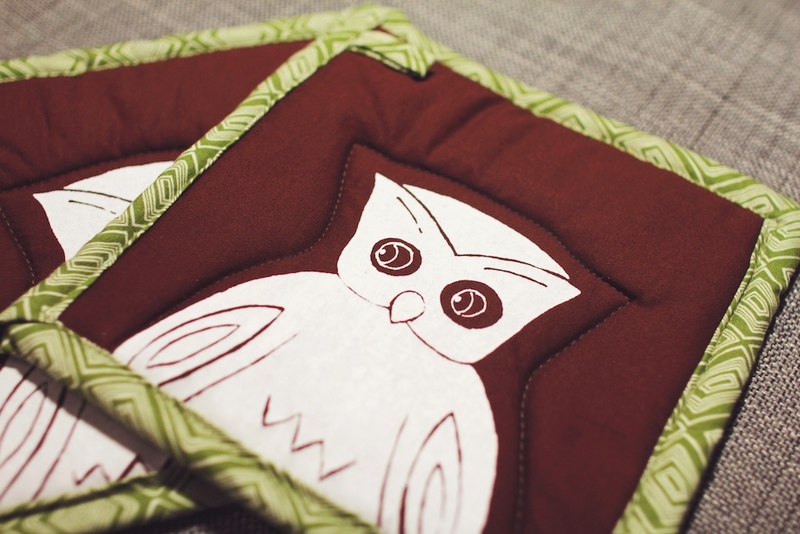 Owl potholders! Hand delivered! Hooray! 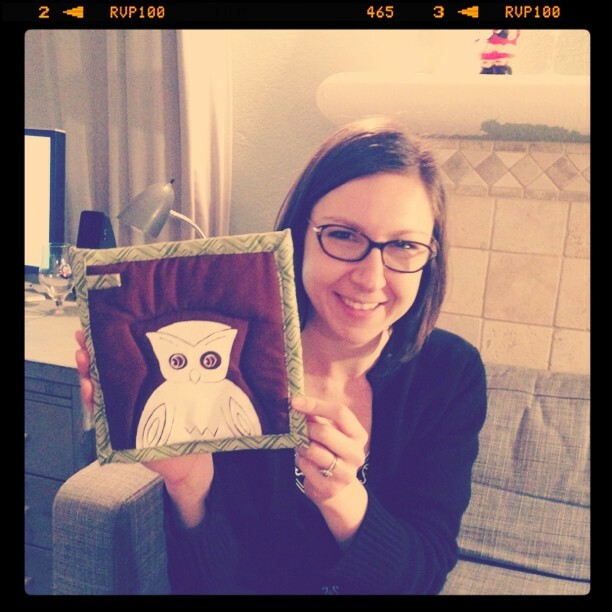 Also, I’m new to your blog (thank you, Nondenominational Gift Giver Exchange), and I’ve gotta say, it’s adorable! Hiya!